The FIBA Asia Champions Cup 2017, Asia’s premier basketball club competition, will take place in Chenzhou-Hunan, China from 22-30 September. Ten (10) Asian clubs will participate in this event, including teams from China, Chinese Taipei, Japan, Lebanon, Palestine, Iran, India, Thailand, Kazakhstan and UAE. ONGC is in Group B alongside Al Riyadi – Lebanon , Al Ahli – Dubai, China Kashgar, Taipei Dacin Tigers. The top four (4) teams in each group will advance to the Quarter-Finals. ONGC team will be opening their campaign against the Taipei Dacin Tigers on 22nd September at 1430 local time(1200 IST). China Kashgar are the defending champions of the FIBA Asia Champions Cup. 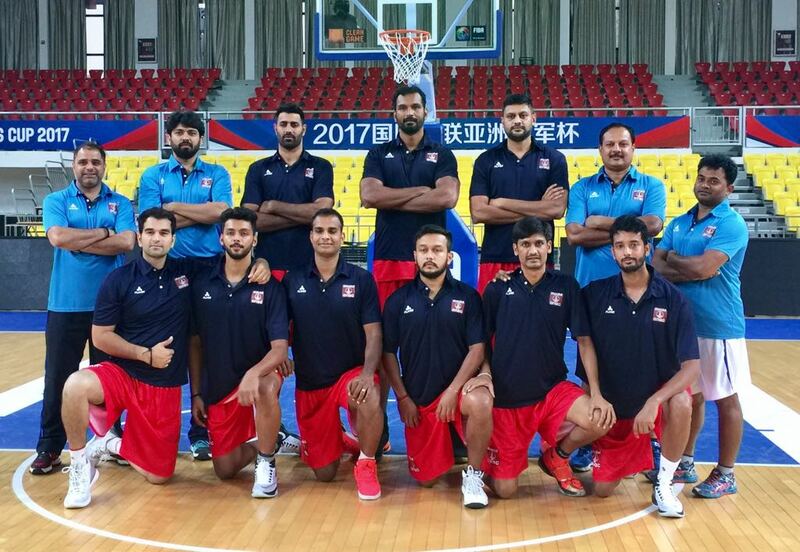 Bengaluru/Chenzhou, 21st September 2017: Team ONGC is all set to participate in the FIBA Asia Champions Cup 2017, which will be held from 22-30 September at the Chenzhou Sports Complex, Chenzhou, Hunan, China. ONGC were drawn into Group B together with Al Ahli of UAE, Al Riyadi of Lebanon, Dacin Tigers of Chinese Taipei and defending champions China Kashgar. The top four teams in each group will move on to the knockout Quarter-Finals, where the winners will advance to the Semi-Finals. The winners of the Semi-Finals will compete for the FIBA Asia Champions Cup 2017 crown in the Final. ONGC fell short of making it past the group phase in last year’s Champions Cup, losing all their three games, but they are aiming for a higher finish this time around.